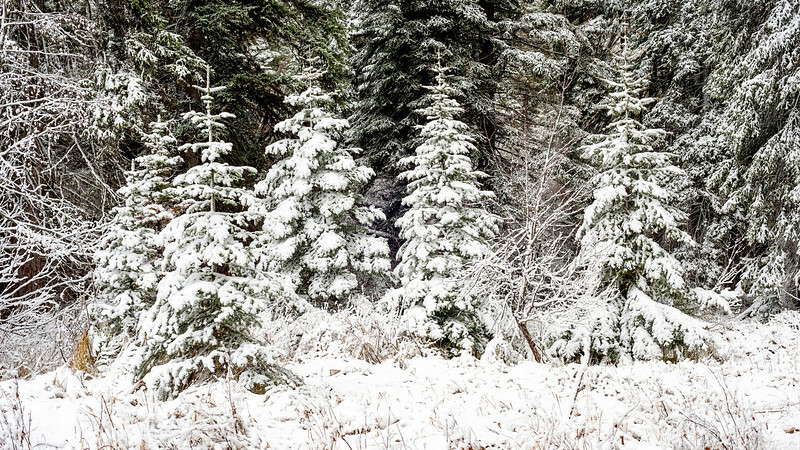 Perfect little Christmas trees in the snow covered forest. These trees live near the North Shore of Payette Lake. I like how the more mature trees towered over these little guys.